Nowadays, modern technology allows engineers to create tools with more adequate properties depending on the application. Currently, a lot of components require dimensional and geometric precision with tolerances increasingly tight. Grinding is the most suitable machining process in many cases and is currently applied in large scale in the machining business. Since it is a complex process due to its stochastic nature, there is a wide-open field of study and data collection to obtain the most efficient combination of tool/workpiece material depending on what is desired, always seeking improvements and optimization of the process. Besides this, a new parameter that can recently be considered to select the grinding wheel is the abrasive grains’ friability level within cubic boron nitride (CBN) material. Since there is scarce information about the influence of this specific parameter in the performance of the wheel, this work aims to fill this gap. 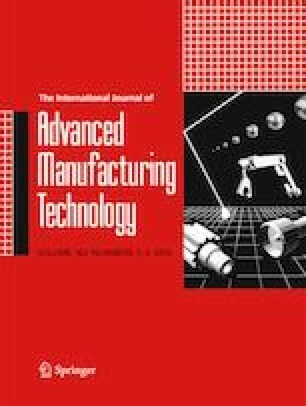 This work analyzes the cylindrical grinding of the AISI 4340 steel using two types of vitrified-bonded CBN grinding wheels. Their only significant distinction is the difference in the abrasive grains’ friability. The performance of each wheel was analyzed taking into account the results obtained from the parameters’ surface roughness, roundness error, micro hardness, acoustic emission, and average power. Regarding the average surface roughness, the more friable wheel produced values of 0.31, 0.40, 0.44, and 0.53 μm, respectively, for the 0.25, 0.50, 0.75, and 1.00 mm/min feed rates. On the other hand, the average surface roughness values obtained from the workpieces ground with the less friable wheel were: 0.22, 0.29, 0.35, and 0.40 μm, respectively, for the 0.25, 0.50, 0.75, and 1.00 mm/min feed rates. This means that when using the less friable abrasive grain, the surface roughness is better, which suggests that in the friability range analyzed, the use of a less friable wheel produces workpieces with better quality. The authors thank companies Saint-Gobain Ceramic Materials - Surface Conditioning for the donation of the CBN abrasive grains and for its support to this research, Nikkon Ferramentas de Corte Ltda for providing the grinding wheels, and Quimatic Tapmatic Brazil for the donation of the cutting fluid used in this research. The authors thank São Paulo Research Foundation (FAPESP) (process 2015/10460-4), CAPES (Coordination for the Improvement of Higher Level Education Personnel) and CNPq (National Council for Scientific and Technological Development) for their financial support of this research.